Here are my plans for the week - don't forget you can click on them to download your own copies. Or CLICK HERE as well. This week will include our 100's Day. We will be celebrating it all day Wednesday. In the afternoon the 4 classes in my wing of 1st and 2nd graders will be having rotating centres. I'll definitely get some photos to share with you later. Language Arts continues on with my Guided reading groups like last week. We are working through these great differentiated Printing books from Whimsy Worshop. I'll admit - we didn't get to Science at all last week - with the very short week of only 3 teaching days I just couldn't fit it in. In math we are still working on 2 digit addition strategies - I hope to get to regrouping soon. And Wednesday is 100's Day. We will be using various activities from this great product - also from Whimsy Workshop. In Socials we are just putting the final touches on our lap book made with my Flip Flap book activity. And in Art we are continuing to add to our Art Journal. 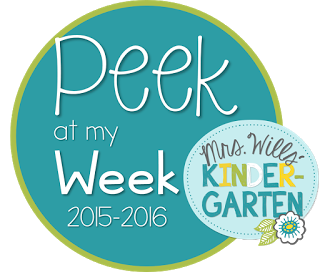 So here we are, Monday again, and it's time for another Peek at My Week Linky by Deedee Wills. Hop on over to check out everyone's visual plans. Thank you Sandra for linking up! I loved teaching 2nd grade! Last Week in a Snap!